How can I plan my trip to Statue of Unity? I prefer to travel by train mostly. Gujarat is a beautiful state of the country. If you are planning to visit Statue of Unity, you must include Dwarka, Somnath, Chotila and Gir. Travelling from a different, your trip will begin from Ahmedabad or Baroda. This is the suggested travel route. Ahmedabad is a major city of Gujarat. It has many trains scheduled from different parts of the country. Book a room in Ahemdabad. Then, be ready for the day and take a train from Ahemdabad to Dwarka. Saurashtra Mail is available from Ahmedabad at 5:55 AM. It takes about 8 hours 46 minutes. So, you will reach Dwarka by 2:41 PM. Dwarka is an important religious destination of Gujarat. This is the kingdom of Krishna. Dwarka is located on the seashore of Okha peninsular. Here, at Dwarka take a stay for one day. You must visit Dwarakadhish temple and Beyt Dwarka. The darshan and Aarti of the Dwarkadhish Temple is embellishing. Then, in the evenings you can go to Beyt Dwarka. Take a night stay in Dwarka. From Dwarka early morning, you can get a train to Somnath. Somnath is an important pilgrimage and tourist spot of Gujarat. It would take 3-4 hours to visit the Somnath Temple. Board onto Somanth Porbandar passenger train at 2:10 PM. You will reach Junagadh at 4:24 PM. After reaching Junagadh, reach Gir by any public transport. Going to Gir, will be your mesmerizing experience. Take a night stay at Junagadh and next day go to Baroda. Coming to Baroda from Gir, you can take a look at few historical places of Baroda. From, Baroda you can travel to the Statue of Unity the next day. Return to Baroda the same night and you can sum up your trip. How to can I plan my trip to Gujarat traveling by own vehicle? You can plan your trip accordingly if you are traveling by your personal vehicle. You can start trip your Ahmedabad. 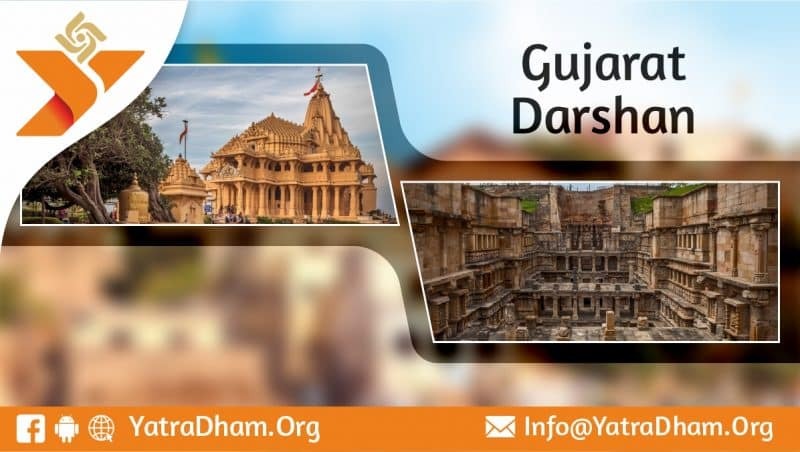 From Ahmedabad travel to Chotila by state or private run buses or any other public transport. Chotila is an important religious loaction. Even, Chotila is perfect place if you are nature – lover and like adventures. Chotila temple is located on a mountain at a height. You can either go by ropeway or climb the stairs. From Chotila travel overnight to Dwarka. Dwarka is a beautiful place. Spend an amazing day here with your family. The next day morning travel to Somnath by bus. It won’t much time at Somnath temple. So, the same day you can leave for Gir, Junagadh. You have one more alternative that is visiting Nishakalank Mahadev Temple at Bhavnagar. Stay a night near the Koliyak beach. From Ghogha near Koliyak you can get Ro-Ro Ferry morning 8:00 AM. So, by waterways you can travel to Dahej. This will be the surely the best part of your trip. Statue of Unity is just 144 Km from Dahej. Hire a cab and reach Statue of Unity. You stay a night in the tents at the Kevadia district. You will be loving it with alluring nature around. The next morning you can leave for Baroda. In Baroda, if you wish you can visit few historical places like Lukshmi Villas Palace, Sayaji Baug, Kirti Mandir and many more. If you have enough you can even go to Pavagadh Temple. Thus, you can sum up in a better way.